We're over the moon that our Memory Matinees project has been named one of the three local Co-op Community Fund projects for one year starting November 2018. How does the Local Co-op Community Fund work? When Co-op members buy selected Co-op branded food products and services, 1% of the money spent goes to local causes in our community. Each individual member can choose which cause their 1% goes to. The other two names projects for this year are Rainbow Junktion cafe at All Hallows and Rose's Tea Club at HEART Headingley. What will we use the funding to support? We are seeking funding to support the Memory Matinees project. 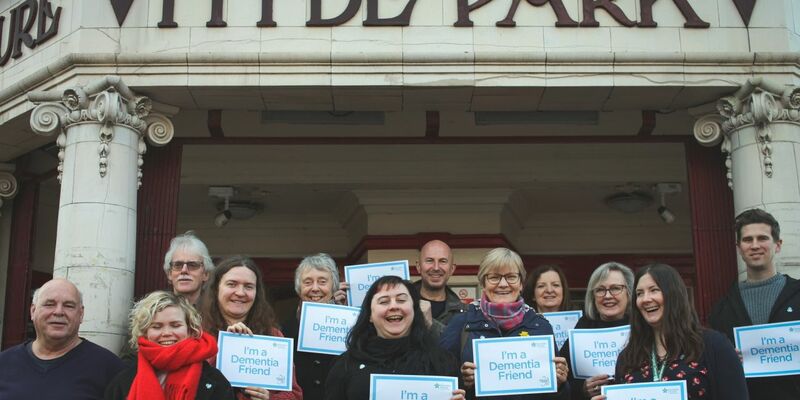 Memory Matinees are our dementia friendly screening strand aimed at providing supportive and accessible opportunities for people living with dementia and their carers to come together and engage in a deeply normalising activity, watching a film. This project fits into the Picture House's wider ambition to become a truly accessible community cinema, using film as a positive tool for change. The screenings have also presented an opportunity for inter-generational engagement: presenting opportunities for families and students to have a shared experience with older visitors. Volunteers have helped to organise research and outreach activities, strengthening the cinema's partnerships with other local organisations including arranging off-site screenings at HEART in Headingley.